Firefighters Moving Company | Real Firefighters - MoveStar Inc. Regardless of your budget, when you are planning to move, you only have one chance to get it right. That’s why you need a moving company that is experienced and dependable. MoveStar Inc. is a top-rated, trusted and affordable firefighters moving company in the Dallas-Fort Worth area, owned and operated entirely by off-duty firefighters. We operate our firefighters moving company with the same integrity and professionalism we demonstrate every day on the job as firefighters. If you trust us with your move, we will work diligently to prove you made the right choice, whether you’re relocating your home or business. We are highly experienced and have specialized equipment for all types of residential moves, including luxury and high-rise. 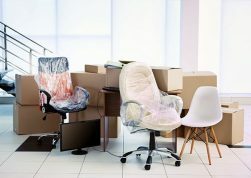 We are also expert commercial movers with years of experience in both office and industrial relocations. We know that planning is key to a successful commercial move. That’s why we’ll help you strategically plan your move so that it has minimal impact on your business. We offer a full line of services to help you with every step of your move, whether you’re moving your family or relocating your business. 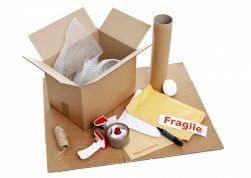 These services include packing, loading and unloading, professional cleaning, storage facilities, packing supplies and more. If you’re looking for an affordable moving company you can trust, call us today. One of our firefighters moving company team members will come to your home or business to speak with you in person. They will get to know your specific needs and budget, answer any questions you may have, and offer professional advice to help you prepare for your move.